The site of Armco's current 10-storey office building and parking garage. Halifax has a fear of heights. That seems to be the message from city council in deciding not to limit the height of a proposed 29-storey development on Quinpool Road that’s been widely panned by both HRM staff and members of the public. A report by planning applications manager Carl Purvis recommended council limit the proposed Willow Tree tower to just 20 storeys, which would still be well above what current zoning policies allow. 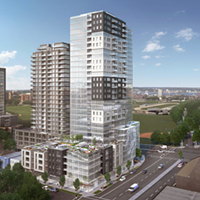 Council shot down that recommendation at its meeting this past Tuesday, instead voting to let developer APL Properties move ahead (for now) with its 29-storey design. Peninsula North councillor Jennifer Watts tried to remind her fellow councillors that the discussion wasn’t about height, but about listening to the city’s experts and the feedback from residents collected during community consultations. “If we’re going to have tall buildings, to me, I can’t think of a better spot,” said Gloria McCluskey. The Dartmouth Centre councillor waved off concerns that the building’s shadow would engulf the southwest corner of the Common by suggesting the city’s softball and cricket players would benefit from no longer having the sun in their eyes. Original plans on the site called for two towers of 22 and 11 storeys on a shared podium. Planning staff didn’t like that proposal’s height, mass, density or shadows, and submitted that feedback to APL. The company—a division of George Armoyan’s Armco Capital—promptly ignored those criticisms and came back with a revised design that increased the height to 28 and 12 storeys. Recently the company returned yet again with the latest designs, which call for a single 25-storey tower on top of a four-storey podium. The proposed structure would be the second-tallest building in Halifax, narrowly beaten by Fenwick Tower in the south end. City staff say it’s improved in several ways from earlier designs, but is still way too tall for the area. 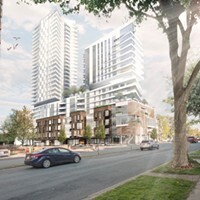 “While staff agree that a building of some height on this corner could be accommodated given the size of the adjacent intersection and the nature of two of the flanking streets, the proposed height cannot be supported given the existing surrounding context of building heights which top out in the range of 14 to 17 storeys,” writes Purvis in his report. Councillor David Hendsbee argued that the planning department was “handicapping” the developer by limiting its design to only several stories above what’s currently allowed under zoning regulations. “With all due respect...when’s the last time staff built a building?” asked Hendsbee. 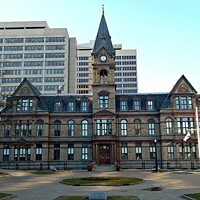 The motion to limit the building’s height to 20 storeys was ultimately defeated with only councillors Watts, Waye Mason, Tony Mancini and Lorelei Nicoll voting in its favour. The finalized plans for the building could still wind up shorter than 29 storeys, but that will be something APL and HRM discuss as they move ahead with a site-specific development policy. That document will return to council for first and second readings and a public hearing before either being approved, dismissed or modified further. 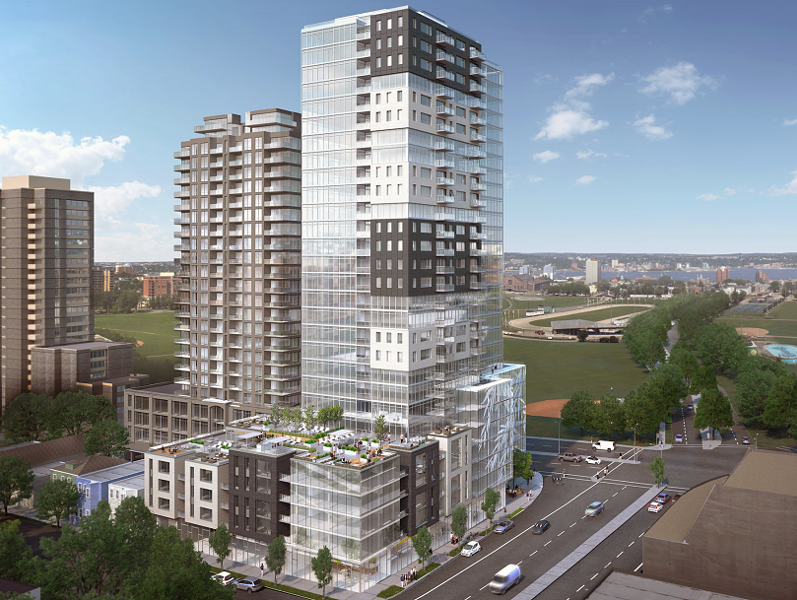 A separate staff recommendation that council did bless with its approval separates APL’s tower on Quinpool from Westwood Development’s proposal around the corner on Robie Street. The two developments were originally linked due to their close proximity, but will now proceed separately through HRM’s planning process. Developer Danny Chedrawe was previously proposing an 18-storey building on the site of the former Cruikshank funeral home, but his company is now revising those designs. HRM’s planning department is recommending a height restriction for that development of just six storeys. Consultant report says taxpayers increasingly footing the bill for processing applications. 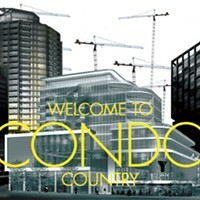 Do you like condos, HRM? Here, have thousands of them. 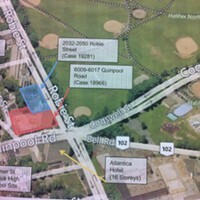 Plans for Robie and Quinpool corner dwarf their neighbours. Fenwick Towers, the south end monstrosity, maybe in its final year as a student residence. 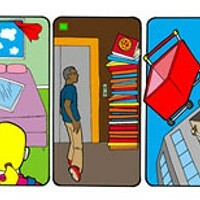 It's had a troubled past, but for 400 students a year, it's home.